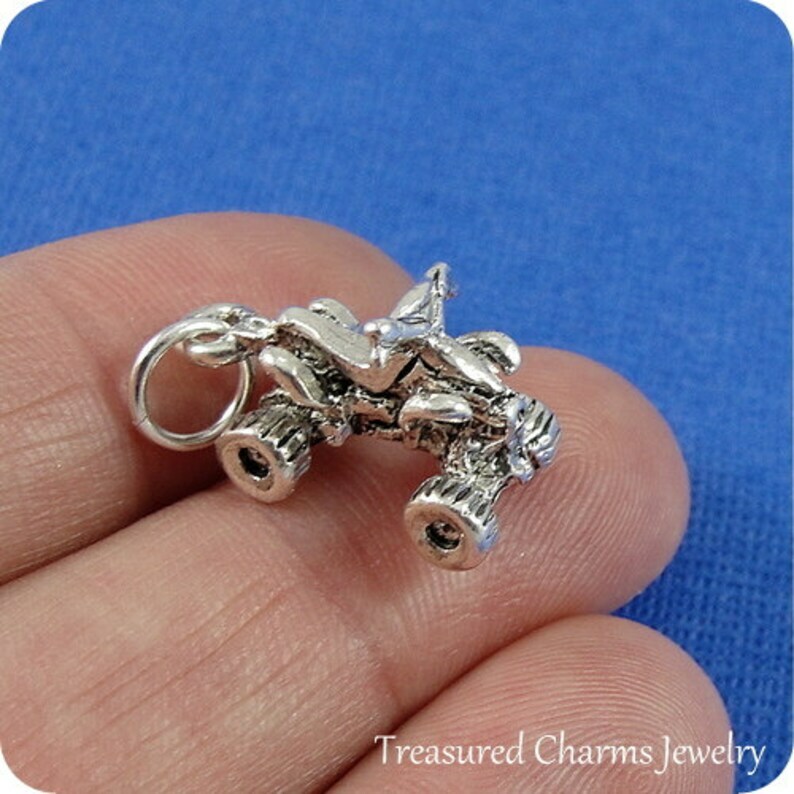 This ATV Charm comes with a silver jump-ring as pictured. Please note that photo is not to scale and may appear larger to show detail. Refer to exact measurements below. ★ Measurements: 1/2" x 5/8"
these ATV charms are awesome! I'm donating a bunch of handmade stamped keychains to a 4x4 event and they are perfect!